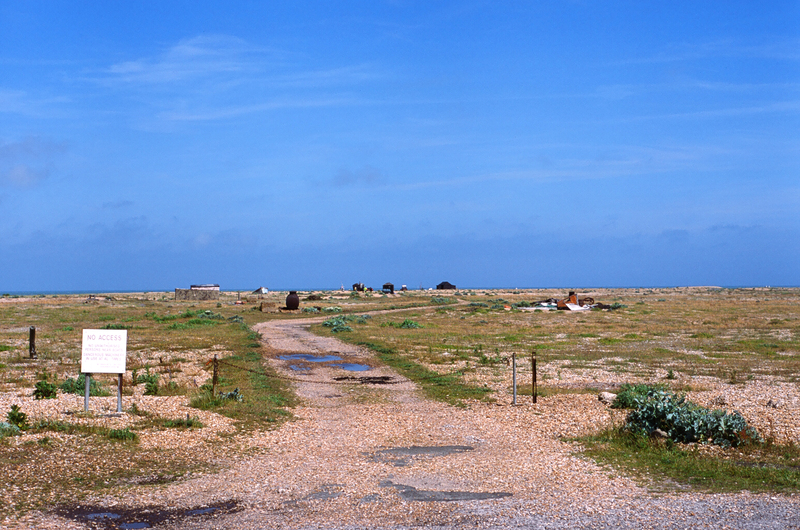 Yesterday I fulfilled a long-held ambition to go and check out the weirdness that is Dungeness – 2 lighthouses, Derek Jarman’s house, a nuclear power station and one of the strangest landscapes I’ve ever seen in this country. Cycled 20 miles, freezing, foggy, windy. Now we are just at john o groats! @emilyjmacaulay thanks! Currently trying to work out if we can make tomorrow shorter without having to go over any more hills. Not possible! @Mike_Tomlinson ha, my arse is doing alright. Mick has started moaning about his! Sometimes you’re the hammer and sometimes you’re the nail. Today I’m the nail. @calebdorey our detour is to avoid gloucestershire, too many hills! @calebdorey currently discovering that herefordshire isn’t exactly flat! Lovely couple at local chippy donated cost of our meal to @janesappeal, ace! Eddie Izzard, Dylan Moran and Reginald D Hunter are playing an outdoors gig in St Albans, brilliant. What’s more my friend, Mat, and I got tickets, brillianter. Then we decided that we’d cycle there. Silly. So this Thursday we’ll set off from Leeds to cycle the 210 (and a bit) miles from Leeds to St Albans. We even planned a route and everything (we’re not normally so organised). We reckon it’ll take us 2 and a half days. So anyway, if I’m super-organised then we may be using Mat’s phone to track the route and I’ll pop it up on here and you can all see how slow we went and how frequently we got lost. p.s. I went for my first long ride in a while on Saturday and got an incredible painful knee whilst riding, apparently this is either because a)my knees are all wrong or b)my saddle is slightly too low. I’ve raised my saddle and it has made things slightly better in the knee-department, the problem now is that my feet barely touch the ground and getting onto the bike is a bit of an acrobatic challenge. Ah well, I’m sure it’ll be fine. If my slightly bad maths is anything to go by (i didn’t have enough fingers and toes to count accurately), then it is just over 4 weeks until I leave as part of the convoy of support vehicles to drive out to Istanbul ready for the start of the Jane Tomlinson Appeal’s latest madcap challenge, the Istanbul to Leeds bike ride (www.istanbultoleeds.co.uk). I’m having my final innoculation this evening (this one for tick-born encephilitis – which sounds pretty horrible) and then I’m pretty much good to go. My job will start on the evening of 21st July when I’ll meet up with the other drivers (there are 6 of us driving the vehicles out there) and the vehicles – an RV, a car and a transit van – to drive down to Folkestone and then across the whole of mainland Europe to Istanbul. It’s just shy of 2,500 miles and we hope to make it in about 3 days. Each vehicle will have 2 drivers and we’ll take turns driving, then sleeping. I think we’re hoping to be in Istanbul on Saturday 24th with the ride starting on Monday 26th July – the riders will have flown out on the Friday evening. I’m not sure how prepared the riders are, I know the Miller family (Mike Tomlinson’s sister’s family) have been training pretty well since early this year and I have, on more than one occasion seen John (Mike’s brother-in-law) riding a tandem on his own – which must take a certain level of dedication! Mike has been cycling to work and back (a journey of about 10 miles each way) so will probably be in much better shape than he was on the last challenge (2008’s end-to-end ride), the Hinde family all seem to be fairly fit and I’m sure Stuart has been getting them out and about and Becca Tomlinson is mega fit anyways and has been subjecting herself to spinning classes at the gym. So I’m sure everyone will be more-or-less ready…a bit. 4 weeks to go…it’s going to be an adventure. I’ll be blogging about it all quite regularly here and also on the ride’s site. You can sponsor the riders here http://www.justgiving.com/Istanbul-to-Leeds-2010. It’s an incredible challenge they’re all taking on and your support would be hugely appreciated. If you can’t afford to donate then the riders will be (hopefully!) arriving back in Leeds on Bank Holiday Monday 30th of August – it’d be great if there were some people out to welcome them home! Have had a week off during which i experienced a remarkable lack of exercise, other than a bike ride on Monday where i got a bit lost, cycled with a nice old man and ended up in Wetherby. The chap that I ended up cycling with was a retired anesthetist and a ridiculously keen cyclist (he had something like 8 bikes…not with him at the time), he said he cycled most days and paced himself according to the heart monitor he was hooked up to – he wasn’t supposed to exceed a certain pulserate – but throughout the ride he completely annihilated me, he was super fit (or i wasn’t…probably the latter). Currently listening to Kyte’s cover of Peter Gabriel’s ‘Solsbury Hill’ http://hypem.com/track/798511/Kyte+-+Solsbury+Hill+Peter+Gabriel+Cover+ which is quite lovely. we tried to get them to do a session for tapes but they proved impossible to get hold of.